The 16th Indie Gathering Film Festival has announced their 2012 festival winners, recognizing Producer/Director Cal Nguyen's post-apocalyptic Day Zero pilot episode entry, "Lethal". Mr. Nguyen will graciously accept this honor on behalf of the cast and crew of Day Zero the web TV series after the presentations held August 19, 2012. "This is my third award win this year after submitting the pilot to festivals, which is such an honor and distinctive recognition of the vision I had for Day Zero the Series. The web episode win as well as being screened for the first time at a film fest is just so amazingly magical that I can't explain it in words. This coming from an established organization who's been around for 16 annual events, so I appreciate and thank the Indie Gathering Film Festival and particularly Kristina for showcasing our hard work on this project," Mr. Nguyen said. The cast and crew of Day Zero the series will have the opportunity to drive or fly in from Utah in order to attend the awards festival acceptance ceremony. The Mop and Lucky Files wins Web Episode Award and screens at The Indie Gathering in Hudson, Ohio! 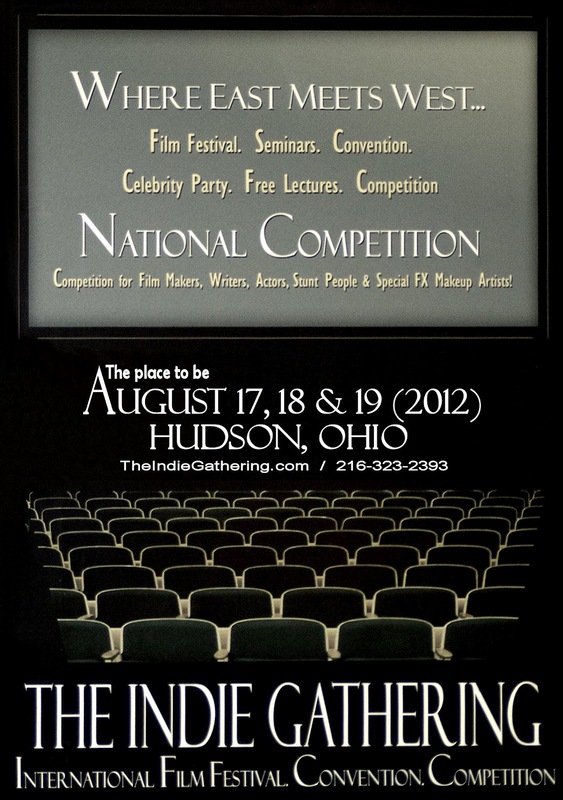 The 2012 Indie Gathering, will screen the award winning webseries, The Mop and Lucky Files, Sat. August 18 at 11:10 am to 12:00 pm in screening room A. The Festival is being held at The Clarion Inn & Conference Center at 240 Hines Hill Rd., Hudson, Ohio, 44236. The "Indie" Gathering Film Festival, an International Film Festival, exists to showcase the independent filmmaker, their mission is to inspire and encourage film makers. 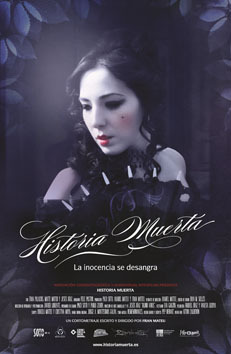 The Spanish short film "Historia Muerta" will be at 16th Indie Gathering International Film Festival. The Spanish short film "Historia Muerta" (aka "Dead Story"), directed by Fran Mateu, has won the award for Best Foreign Horror Short Film at 16th Indie Gathering International Film Festival, to be held from 17 to 19 August in Hudson. "Dead Story" is a gothic horror short produced by Sotofilms, and it’s a bizarre love story about the meeting between Samuel (Fran Palacios) and Isabel (Maite Mateo), with the voice over of Fele Pastor. This short film is a director's first work, and has won important awards like the "Special Jury Remi Award" at 45th WorldFest from Houston. Nowadays, his short film has been screened at festivals from different countries like Spain, UK, Italy, USA, India, Mexico, Chile, Argentina or Brazil, and its screening number 50 has been in Slovenia, competing at 8th Grossmann Fantastic Film & Wine Festival for the Golden Méliès Nomination for Best European Fantastic Short Film of the year by the European Federation of Fantastic Film Festivals. 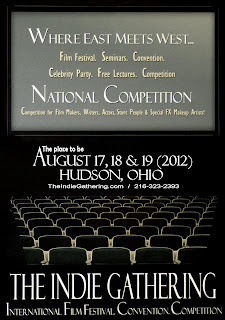 Outlaw Studios is proud to announce that suspense-thriller “9:03” will be screen at the 2012 Indie Gathering in Hudson, OH. This will be the second screening for Outlaw Studios and writer/director Scott Lentz at the Indie Gathering. “9:03” is a short suspense-thriller produced and shot on location in West Chester, Pennsylvania. It is the first short film by Philadelphia based writer & director Scott Lentz. Lentz previously received acclaim as creator, writer and director of the web-series “Guys With Girl Problems.” The series’ pilot episode made its debut at the 2010 Indie Gathering and received the Star Award as well as the Golden Ace Award at the 2010 Las Vegas Film Festival and the Platinum Award at the 2010 Nevada Film Festival. The pilot script was included in the Top 50 Screenplays list at the 2010 Underground Exposure Film Festival & Screenplay Competition and a Finalist at the 2010 NexTV Writing & Pitch Competition. The film listens to the inner thoughts of a contract killer questioning his purpose, and embarks on a social experiment is to see what would happen if he informed one of his marks that he was coming for him, just to watch what he would do.